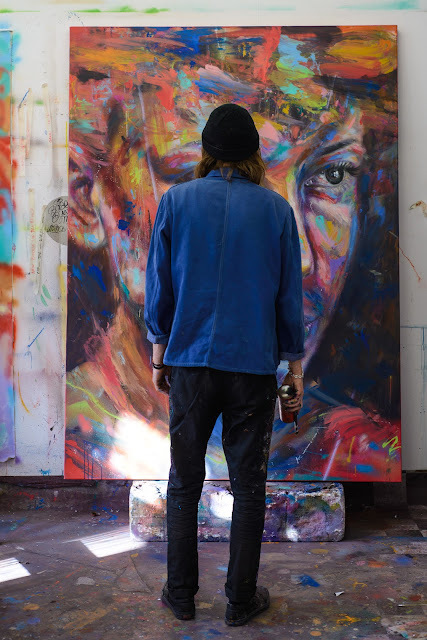 Acclaimed artist, David Walker is set unveil a new collection at London's Lawrence Alkin Gallery on November 17. Half A World Passed Me By will be David's first UK show in over three years, as he has been busy painting large scale murals on the streets of France, Belgium, Denmark and New York. 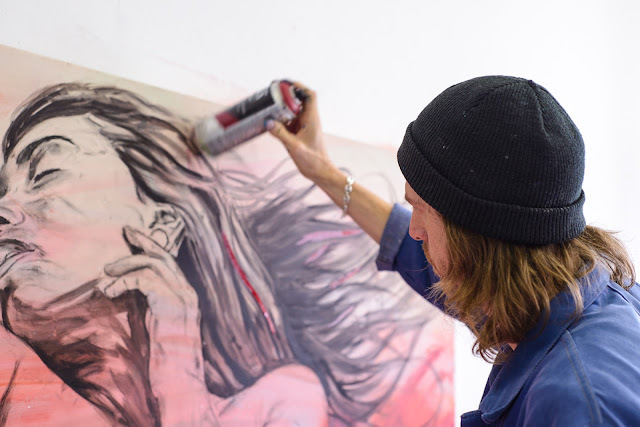 He has also recently created pieces for the street art museum in Amsterdam, as well as the just-opened Urban Nation Museum for urban contemporary art in Berlin. The collection, which will be hosted at The Lawrence Alkin Gallery, will also feature separate collaborations with German graffiti artist turned contemporary painters, Base 23 and Mina. Although I do paint murals I don’t really consider myself a street artist, I primarily paint canvases but it is an aspect of my work. It sort of happened by accident, a fellow artist had put me forward to paint at Banksy’s Cans Festival 2 in the Leake Street tunnels in London. I got the green light, I think it was my first wall and it came out ok. Some artists I really admire gave me some very positive feedback and the work got a lot of exposure. After that I seized more opportunities to paint murals and more were offered. I enjoyed the challenge of painting large scale, it has physicality and energy in the mark making that is difficult to replicate on canvas. I was always making art on the side but professionally I did graphic design and illustration for fashion and music labels. Is there anything you do differently now from when you started out? Lately I’ve I been listening to a lot of talks on determinism and the notion of free-will (and if there is such a thing), so lets just say there probably wasn’t anyway I could have done anything differently. If you could paint a mural anywhere in the world, where would it be and why? Japan, its top of my list of places to visit and for some reason I feel like I need an excuse to go there. What should people expect from Half A World Passed Me By? A lot of newness, portrait and figurative works, the introduction of text based paintings and some really beautiful collaborations with Berlin based artists. Any advice for anyone trying to get into street art? Turn up, work hard, ignore trends, and follow your practice where it takes you. What does the future hold for David Walker? I’m due to have one of my texts/poems published in The New River Press End of Year book. This was something of an ambition of mine. 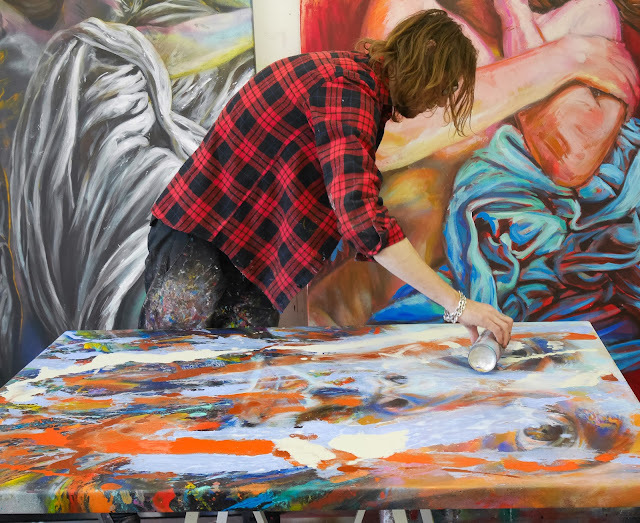 I intend to explore my writing more and have lots of ideas for how to push my portrait and figurative work further. I’m just moving to a new studio in Berlin, so it’s a good time for new ideas to bloom.